The sample bill of sale formats shared here, are created to give you an idea of how an ideal bill of sale should look like, and what fields a bill of sale should contain so that in future it can be deemed and used as a reliable document. This also comes very useful in confirming the sale as well as the entire transaction. The bill of sale is a must to be kept by any seller. Here, you will get the various styles as well as the Sample Bill of Sale Templates. 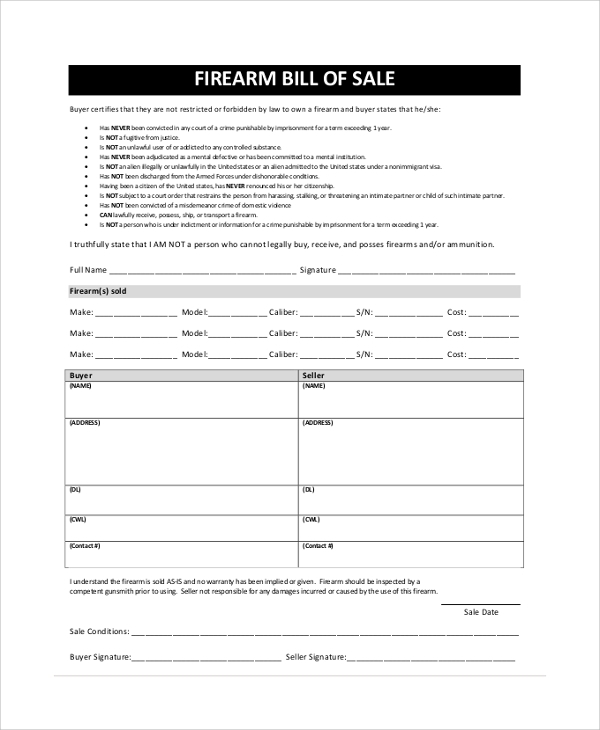 While selling firearms, you will require this format to prepare your bill of sale. The format is downloadable and customizable to make a permanent bill for all time use. 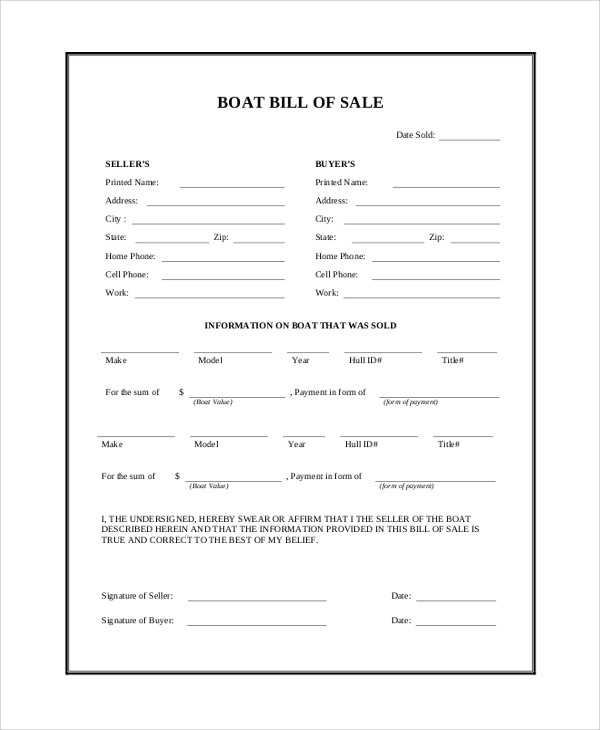 The sample bill of sale for a boat is used when you are selling a boat. It may be a first-hand sale or second hand, but the fields and values required are given in detail. 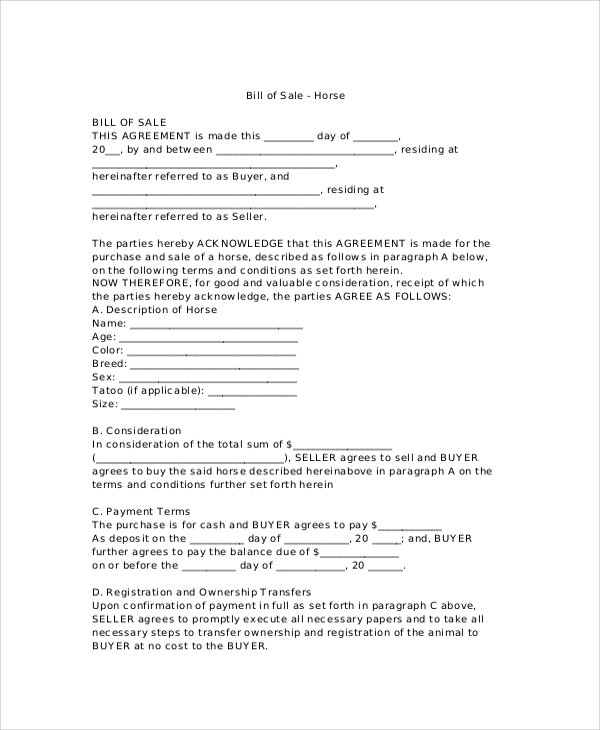 The sample bill of sale for a horse as the name indicates can be used for making a bill of sale while you are selling a horse. The details of the horse, its pedigree and breed, the date of sale and cost are noted in it. 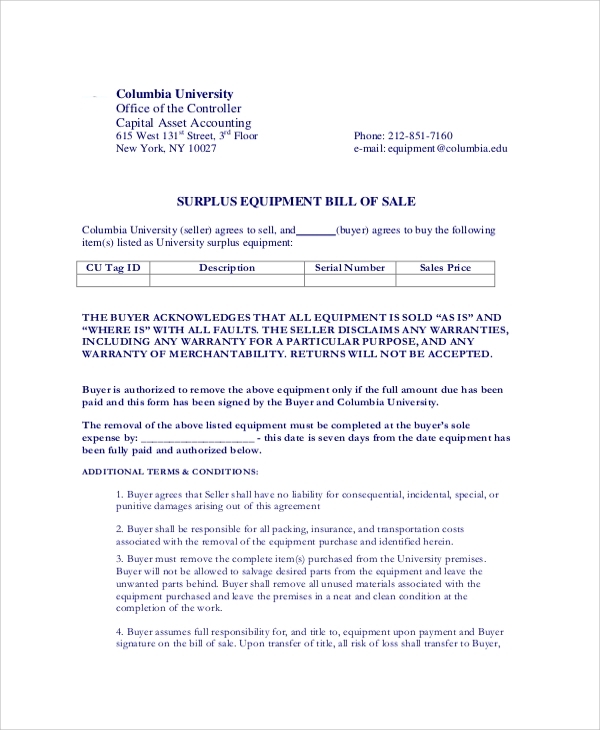 The sample equipment bill of sale is for selling equipment. Any equipment sale must be backed by a bill of sale, and the general format is suggested here which one may customize with more fields. 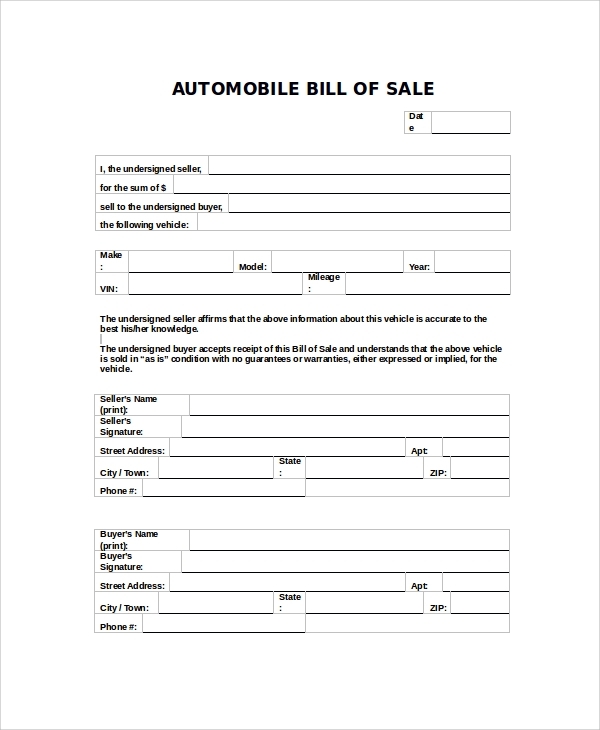 The bill of sale letter is another format that is required when you are going to send the bill of sale as a letter after the sale is completed. You may either send it on email or in snail mail, and the style is here. 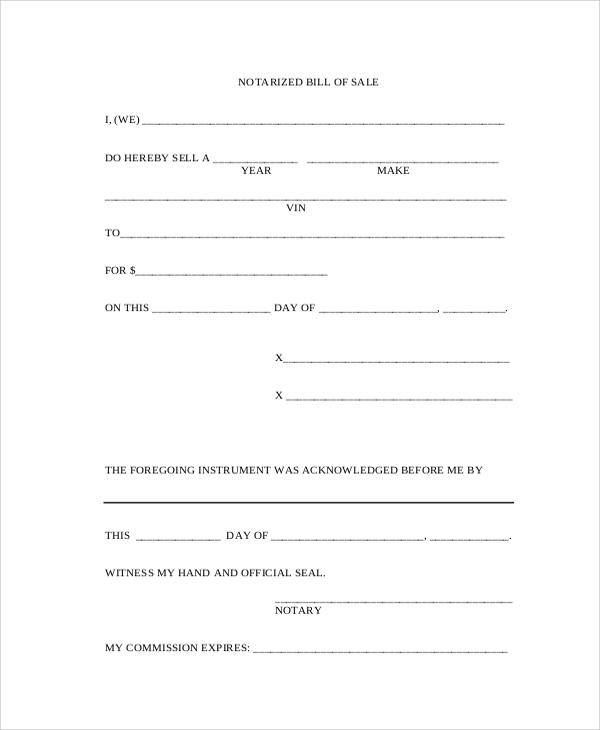 What As A Bill Of Sale? The Sample Generic Bill of Sale is the most generic format that you can always utilize for making your bill of sale, and you can always personalize this style to make any particular format. The bill of sale is the bill that you, as the seller, need to present to the buyer who is buying a product from you. 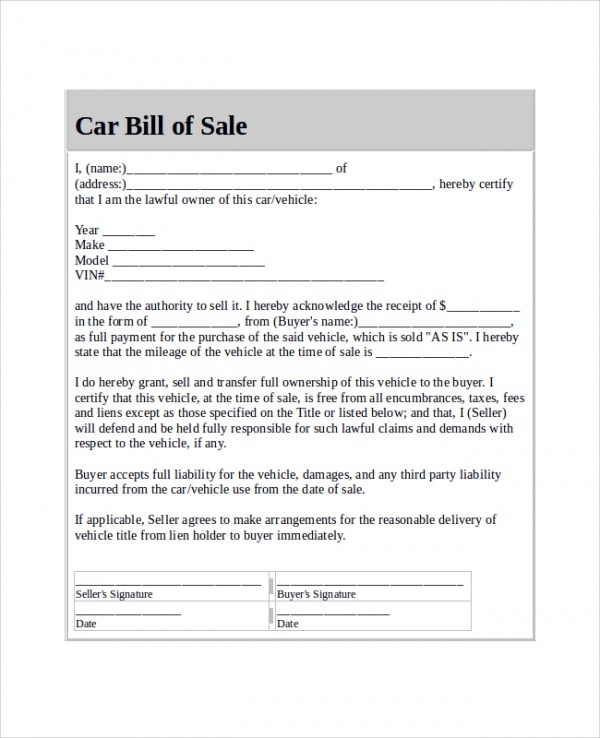 The bill of sale is the document that proves the sale, and contain crucial information about the sale. This helps the seller in filing taxes and keeping records while it helps the buyer in confirming the sale, the payment, the ownership of the item, and using it further in the case of mortgages, disputes, reselling the product, etc. 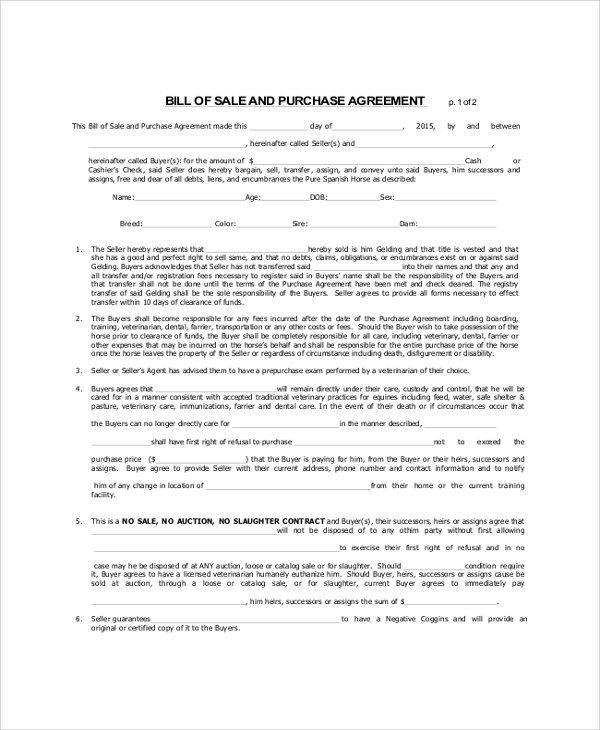 You can present the bill of sale to prove a sale. The owner can prove the purchasing and the seller can prove the sale. The date of billing indicates the date of sale and completed payment. The bill of sale is also useful in reselling the product. If you ever have to mortgage the product, or show it as your asset, or prove your ownership of it, then the bill of sale is the best document for these. If you are willing to start selling products, you must first prepare the correct bill of sale format. 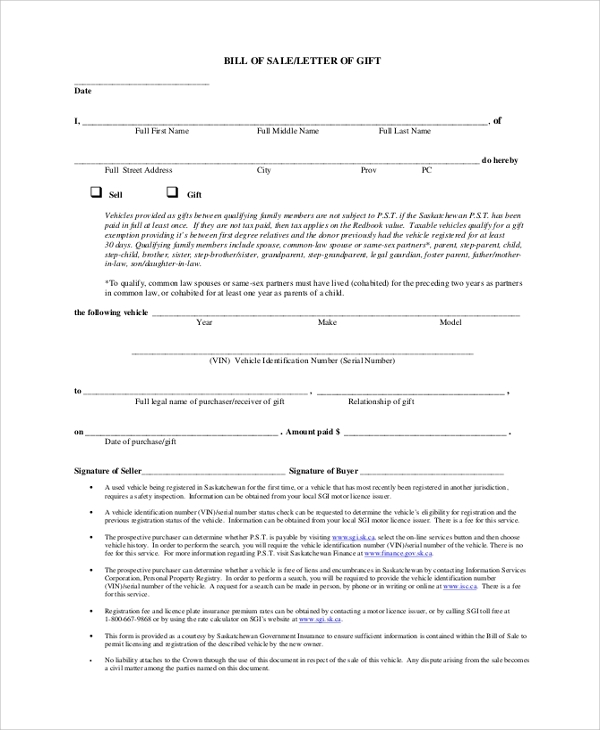 This format will help you in making a bill of sale by working on the general format, which you can download free and then customize as you want to before printing. Besides, you will get specific styles like the Vehicle Bill of Sales and so on.